To the uninitiated, the world of Direct Debits can be somewhat of a minefield. From a linguistic standpoint, many of the term associated with Direct Debit can themselves be somewhat of a turnoff. This guide is meant to help you through some of the terms that you may encounter. Otherwise known as Automated Direct Debit Amendment and Cancellation messages. These messages are meant to notify Service Users of any customer amendments or cancellations. The required notice given to customer of each payment or future payment before it leaves the account. Otherwise known as Automated Return of Unpaid Direct Debits messages, these notify Service Users of any unpaid Direct Debits. Otherwise known as Automated Direct Debit Instruction Service messages, these notify Service Users of issues setting up or cancelling a Direct Debit Instruction. Otherwise known as Bankers’ Automated Clearing Services, this is the process through which ALL Direct Debit communications go through. A secure service for communication between Service Users and Bacs. Internet-based and provided by Bacs. Like London & Zurich, an organisation that submits Direct Debit requests on behalf of a third party, in this case our customers. This is regardless of whether the third party has their own Service User Number. A refunded payment made to the payer after claims made under the Direct Debit Guarantee. The refund is paid immediately. Used by Service Users to dispute charge backs from customers. Otherwise known as Direct Debit Instruction Cancellation and Amendment messages, these notify Service Users of charge back from their customers. The overarching guarantee given on all Direct Debit payments. The authorisation needed by customers for you to collect future payments automatically. The form that must be completed to authorise a Direct Debit Instruction. Another name for Direct Debit Instruction. Fairly self explanatory, the date a payment is expected to be debited from a payer’s account. When a Bureau submits payments to Bacs on your behalf under a Service User Number they own but lease to you. This claim is made by a paying bank to recover charged back payments from Service Users. A standardised file, submitted to Bacs by Service Users to lodge new Instructions and payment requests. The report received when Service Users submit payments or DDIs to Bacs. This refers to a Bureau submitting payments to Bacs on your behalf, using your own Service Number. Authorising a Direct Debit Instruction via phone or online, thus without the use of a paper form. The bank or building society at which a customer’s DDI is located. A single Direct Debit Scheme applying across the whole Single European Payments Area. An organisation approved by a sponsor bank to submit Direct Debit requests to Bacs. An individual number uniquely issued to every Service User. The bank that allows you to begin on the Direct Debit Scheme and ultimately award you with your Service User Number. Unpaid payments refer to payments which could not be collected from a customers account. This can be due to a number of mitigating circumstances, including lack of funds. Days of the week excluding weekends and bank holidays.  Working days are the only days on which a Bacs submission can occur.